Mark Rewers is a native of Buffalo, and currently resides in Western New York. Mr. Rewers majored in Business Management with a minor in Electrical Engineering at the State University of New York at Buffalo. In 1992 he co-founded BN Systems, Inc., which grew into a successful multimillion dollar communications integration firm. Mr. Rewers was the business liaison when BN Systems Inc. became part of the AT&T team in 2004. Mr. Rewers has thirty-five years of experience in the communications industry as a Federal and New York State Government Consultant, System Designer, and Engineer. 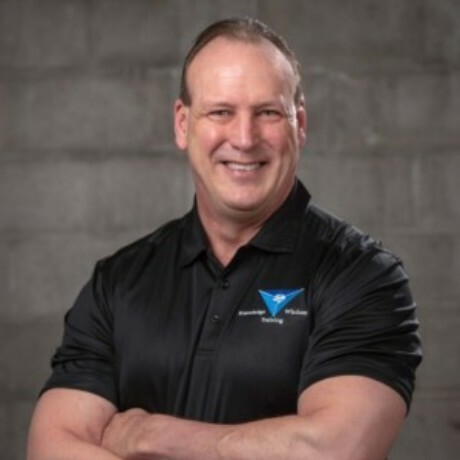 His knowledge and certifications spans from 1A2 Key Systems to Digital PBXs, Structured Cabling, Fiber Optics, Security Systems, Wireless Design and Distributed Antenna Systems, as well as Central Office Facilities Services and Computer Networking architectures. He is also a past member of the National Council on Security and Surveillance. Mr. Rewers has been an accredited BICSI Registered Communications Distribution Designer (RCDD) since February 29, 2001. He has designed, installed and managed hundreds of wireless LAN’s, cellular distributed antenna systems and microwave communication systems. He also holds other designations from multiple organizations, including BICSI, IEEE, CWNP, FOA, and the US Government.